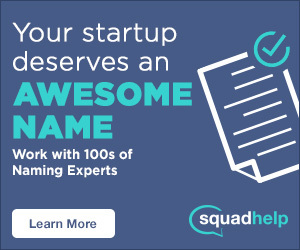 If you’ve struggled to come up with a strong name for your business, you are not alone. Entrepreneurs and small business owners spend more time than they anticipate trying to come up with a strong name for their new venture, or when renaming their existing business. Ross Kimbarovsky is founder and CEO at crowdspring. He mentors entrepreneurs through TechStars and Founder Institute, is a member of the Executive Advisory Board for TechWeek, and was honored as one of Techweek100′s top technology leaders and business visionaries. Innovation. Such a powerful concept in today’s economy. The ability to create something new is at the heart of nearly every success story you read, whether it’s seeing something in a new way, envisioning and developing a new tech solution, or engineering and building a tangible and useful product. For too long, I’ve been thinking about testing the creative engines behind four crowdsourcing naming platforms, but have continuously backed down because I was having a hard time spending over $1,000 on a brand name for a fictitious company.